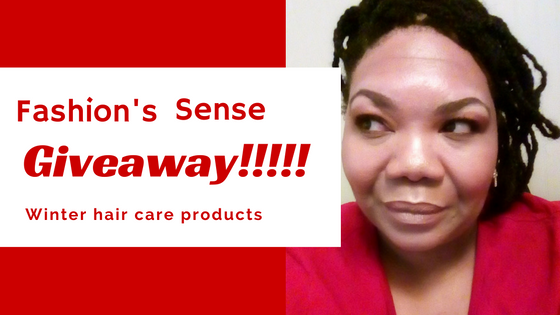 Fashion's Sense: **CLOSED** One More #Giveaway To End the Year With a Smile! **CLOSED** One More #Giveaway To End the Year With a Smile! OMGoodness lovelies 😮 ! Can you believe it is December already? For us women who love beauty and fashion, this is a very exciting time of year for us. All of our most coveted items are going on sale (I snagged a UD Smoky Palette for $27 over the weekend! )and we find some great limited-edition items to pick up as gifts for our loved ones. Aside from my family and friends, I love you guys so I think you as my loved ones as well. That is why I am having one more giveaway to close out 2016. First… Why not wait and see if you are lucky enough to win these goodies in the giveaway? You will notice there many more chances to gain extra entries. Some include following me on my social channels but they are not mandatory to enter. The reason I am including these is because periodically, I will have surprise mini giveaways that will be channel specific. I will pick a name from my follower/subscriber list, email them or shoot them a DM to let them know they've won. The only chance to win any of the mini giveaways is to be on my followers/subscribers list. As with November's giveaway, this one is also done in cooperation with my blogging friends at The Hopping Bloggers. Once again, you will have the chance to enter numerous other giveaways featuring a variety of prizes.